owls about that then! : Little Owls in flight. Ever since I got hooked into this owling/photography lark I have always had a Little Owl flight shot high on my priority list. Countless times the opportunity has been presented right there in front of me, but there is always a reason (excuse) as to why it wasn't nailed. Although I have managed loads of LO flight shots I have never been completely happy, either too distant, a lack of detail, wings blurry, slightly out of focus, my camera kit is not up to it, or maybe the most likely, I lack the skills. Unlike flight shots of Short Eared (SEO) or Barn Owl (BO) which are dead easy in comparison where for starters both those owls are much bigger than the LO, they glide effortlessly whilst out hunting allowing time to "lock on" before the image is captured, the Little Owl (LO) is like a mini missile so things are already harder. The SEO has a huge wing span, at least double if not treble the size of the LO, hmmm getting a lot tougher now. But it doesn't end there, both the SEO and BO normally float around well clear of the ground offering better contrast and are easier to pick out, the LO flies low and very close to the ground. 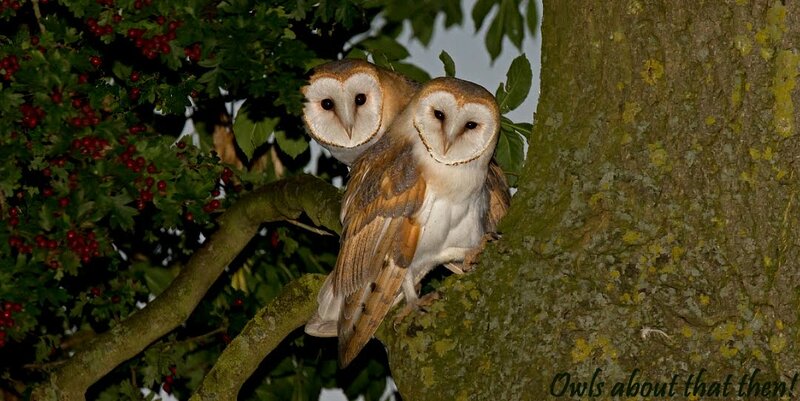 Both of the larger owls tend to fly in a straight line, the LO has an undulating flight (up and down). Both the SEO & the BO tend to be predictable, what I mean by this is once up and flying they can stay up for quite a while, the LO only flies in short bursts so knowing when it is going to take off is very much a waiting game and when it finally happens it is all over in a matter of seconds, are you still with me? 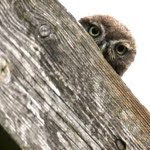 So lets just recap before we continue, Little Owls are smaller, fly faster, fly lower, have an undulating flight, blend in with the background and are very unpredictable, easy hey! OK, lets get back to my venture out on Saturday morning, I have been watching a certain LO site for some weeks now, and to be fair at the expense of visiting other sites. I have persevered with the birds here because a situation has arisen which I believe will offer me the chance of that dam elusive flight shot? The pair here have bred quite successfully over the last two years in the same tree, but for some reason this year they have moved to a different nest tree. In the new tree there is a nice cavity of which I have seen at least two juveniles poking their heads out, but the adults are still using the old nest tree for roosting purposes. The two trees are around 30 metres apart and obviously there is a lot of flying activity between them as the adults feed their growing brood. On each visit I have been painstakingly moving my Landrover nearer and nearer as to gain the confidence of the owls, I have now got to the stage where I am parked right in between the two trees and the owls just fly around me! I got to this stage around a week ago and the flight shots were attempted, with glorious failure! I thought the missing link was not having a quick enough lens to pick them up in flight as they came towards me, but that is not the case with the F2.8 lens, they are still just too fast! I even tried pre-focusing on a certain area and as they flew into the "zone" rattle off a few shots. This tactic works to some degree but they are always slightly out of focus, the depth of field (DOF) is too shallow. OK I can increase the DOF and have a better chance but at the sacrifice of shutter speed, I just can't win. I am sure if I persevered with this method, especially in better light I would sooner or later get a decent image but it is a long shot, I needed a different plan. After many hours whilst waiting for the owls to come out I had plenty of thinking time on how best to improve my chances, and what I came up with was plan "B". I was going to position a perch in between the two trees, Little Owls love perches and could I tempt them to land on it? On my next visit (Saturday) plan "B" was put into operation, I'd got my eye on a piece of farm machinery that I drove by every time I'd visited. Apparently it was part of a combine harvester, it was free standing, bright red, around 3 feet high, made of steel and was very heavy, it was just perfect! The perch was placed between the trees and I then retreated and parked up the Landrover at a comfortable distance for my 300mm lens. Whilst I waited for the owls to go on a feeding spree I set up for "the shot". Manual mode was selected, I wanted a shutter speed of 4000 of a second, this would freeze the wings without any motion blur, F6/7 was preferred so as to give enough depth and allow for the whole bird to be in focus whilst defusing the background and as low ISO as possible, well that was what I wanted!!! It started to cloud over and the rain shortly followed, brilliant! Sacrifices had to be made, although the light was constant it was poor so my settings had to be adjusted accordingly, I finally compromised on 3000 sec shutter speed, F4 and an ISO of 800. After a few hours of waiting they were out, flying too and fro, over and around my perch but not on it......dam! Surely they couldn't resist the temptation to check it out? Eventually the male owl DID land on the perch, on and off in a flash, I missed him but never mind my plan was coming together. The ultimate shot was to capture him just as he was coming into land, I pre focused just before the post and waited for him to land again, and he did..........time and time again! A lot of rubbish was captured as it was hit and miss to which angle he would approach the post, but I got some "keepers", isn't it just brilliant when a plan comes together, I am over the moon with some of the results. Can't wait to go again when the light is better! Wow they look fantastic especially the top two. An excellent series, Paul. The second image is one of the best LO shots I have seen in a long time. Thousands of hours to get them Doug, hope the next one comes along sooner! Cheers mate, ya cheeky so and so!!!!!!! Thanks Mike, your comments are much appriciated.